24 years, that is how much time I have spent in prison, continously. Sometime next year I may have the oppurtunity to enter the “real world”. This is a truely scarey thought. I have dreamt about all of things I want to do, now I may get that chance. What most people take for granted I desire the most. I want to be able to stand out in the wilderness at night, under a clear sky and spend hours gazing up at the stars. I took college courses on astronomy while I was in Walla Walla. I am facinated with the cosmos. They say we are built out of the same stuff as the stars. I would like to fall in love, what is that like I wonder. I thought I was once. I met a girl off an internet pen pal site. I thought she was the one, but as it turned out she was more interested in the idea of writing to a prisoner than actually becoming involved with one. It was a horrible experience. Beautifully written and a reminder not to take things for granted. Thank you for your words! Dwayne, I’m sorry to hear of your love experience. 24 years is a long time to go without love. There is a young man I’ve been writing to for 9 years. He is in Huntsville Prison doing 17 years. I can honestly say I love him having been able to exchange hundreds of letters. But it is not a “relationship” love. I’m not his mother but he calls me mom. He is not my son but I call son. He is the father of my grandson. His family is not there for him. There was no one there for him. Not even my daughter. I am 30 years older than he is, and I’m glad he’s in my life. He’s a good man. When you get out, the world will be upside down. You have to find yourself before you can be there for anyone. When the time is right you’ll find someone to love. 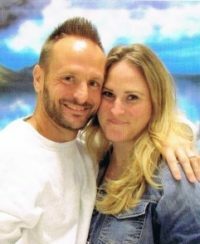 I have spent time in the forums for people who have a loved one in prison. There are women who look for someone in prison. Why? Maybe it’s the “bad boy” thrill they are looking for. That isn’t all women, though. It takes time, and many letters to see the real person inside. It’s better you found out now rather than later. Take care.